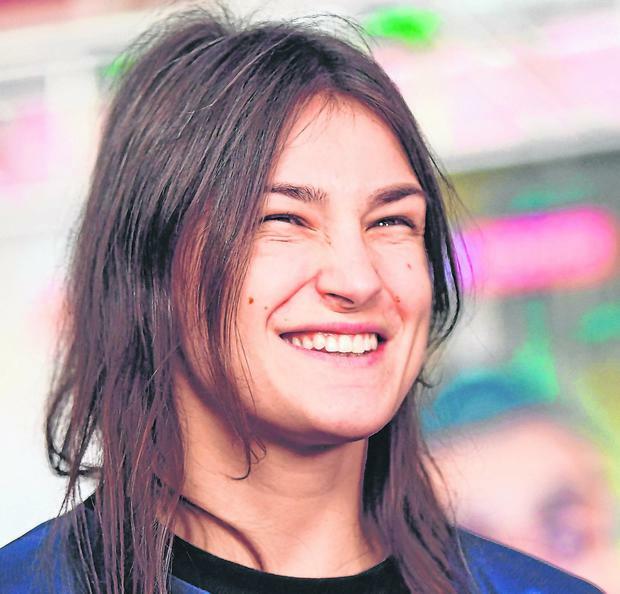 Katie Taylor goes to war tonight against Rose Volante knowing that victory could put her in line for a money-spinning summer bout. There will be three world titles on the line in Philadelphia. Taylor holds the WBA and IBF lightweight titles, while her Brazilian opponent is the WBO champion. Though there has been legitimate criticism over the lack of depth in the women’s lightweight division, it is worth noting that Taylor’s seven opponents since becoming a world champion boasted a combined professional record of 116 wins, 15 losses and six draws before stepping inside the ring to face her. Nonetheless, it is absolute nonsense that there are four world champions in each weight division in women’s professional boxing. Taylor has no option but to play the system and, provided she keeps on winning, she will be remembered as the one who changed women’s boxing at the highest level. One of Ireland’s most popular sportspeople, she is on the brink of signing a major deal with DAZN, a new streaming service which appears to have a limitless budget. DAZN has already inked multi-million dollar deals with three of the biggest stars in boxing – Anthony Joshua, Canelo Alvarez and Gennady Golvokin – and there were reports in the US last night that they had offered heavyweight Deontay Wilder $50m (e44.2m) to face Joshua in a two-fight deal. While female fighters can only look on with envy at those figures, the deal being offered to Taylor is substantial and would potentially see her pocket more than $1m – a first for women’s boxing – for her next fight in June. The deal would end any remote chance of Taylor ever fighting again in Ireland as DAZN wants to promote her in the United States and, as they are going to be the ones paying the bill, they will call the shots. Taylor has a nonchalant approach to the financial end of the business, leaving all of that in the hands of her manager Brian Peters. She is more interested in her boxing legacy and becoming the first Irish fighter to hold three world titles simultaneously. The Bray fighter was unusually bullish at the pre-fight press conference, declaring: “My speed is going to be key in these big fights and I think that, technically, I am better than a lot of the other girls as well. “I feel I have a great team around me, the best coach in the world in Ross Enamait, I feel so prepared going into every fight. However, Taylor is taking nothing for granted against her unbeaten 36-year-old opponent. Not since her third-round stoppage of Kimberly Connor last July in London’s 02 Arena has Taylor won inside the distance, and it would certainly boost her marketability if she were to stop the Brazilian. But she will not take any unnecessary risks as Volante has a useful right hand and has won eight of her fights – albeit against limited opponents – inside the distance. The Taylor camp anticipate that she could be the heaviest puncher the champion has faced since she traded leather with Jessica McCaskill in London’s York Hall in December 2017. McCaskill hurt Taylor that night so the Bray fighter is likely to use her superior speed to turn the first half of the bout into a boxing contest. Then, depending on how Volante’s stamina is holding up, Taylor could change her approach by standing her ground and trading heavy shots. A rogue punch or an injury can make a mockery of the best laid plans, but on all known form it should be a routine Taylor win. Meanwhile, in the main event, Dubliner Jono Carroll gets the chance of a lifetime, although the odds are stacked against him as he bids to take the IBF world super featherweight belt away from Tevin Farmer. Olympic silver medallist John Joe Nevin bids to add momentum to his stop-start professional career in a six-round lightweight clash against Columbian Andres Figueroa.